HomeGold IRA Blog401K401Ks And IRAs: Whats The Difference? 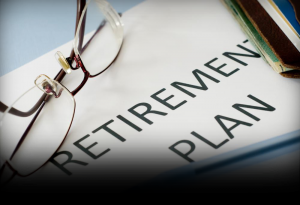 You probably hear a lot of talk about 401(k)s, IRAs and other retirement accounts, but what are the advantages and disadvantages of the two big options – the 401(k) and the IRA? Investing for retirement is one of the smartest decisions you can make in life, and doing so with a clear vision for the future and the right brokerage firm in your corner can make all the difference. Let’s look at two popular investment options – the 401(k) and the IRA (individual retirement account) and analyze the most important characteristics of each to help you make a wise choice. The 401(k) is generally offered directly from an employer, meaning you must work for a company to take advantage of their 401(k). You must use whatever investment firm they’ve partnered with, and you have to pay whatever fees are levied by the broker. An IRA is setup directly through an investment firm, whether you’re looking at a traditional IRA or a Roth. While it’s not really a matter of better or worse, IRAs tend to provide a greater level of control and flexibility than the 401(k). You choose what to invest in, who to partner with, and how to balance fees vs. brokerage management/involvement. What are the basic tax advantages? A 401(k) contribution is factored on a pre-tax basis, meaning the money you use to fund the account is not taxed upfront. But, disbursements from a 401(k) are eventually taxable – and the future tax rate is an unknown variable that must be considered when choosing this investment option. A traditional IRA operates in a similar manner as a 401(k), allowing tax-free contributions (up to specific limits) as established by the IRS. But, Roth IRAs do not operate with the same upfront tax-free nature as the 401(k) or traditional IRA – eliminating the ability to deduct contribution amounts from the investor’s taxable income, and thereby discarding any future tax liability on qualifying withdrawals. If you feel tax rates are bound to go up (this hasn’t historically been the case), then a Roth IRA makes some sense. You essentially pay taxes now to ensure the future tax liability isn’t higher than today’s. A Roth does have specific annual contribution limits, so it can’t be the sole investment vehicle. A 401(k) and traditional IRA operate in a similar manner when it comes to tax liability. The verdict? A draw. 401(k)s keep it simple – you are eligible to invest using this vehicle if you are employed by a company that offers the program. Specific rules do apply, such as minimum vesting periods or unique qualifying factors, but most companies offer a standard set of guidelines around their available 401(k). IRAs – both traditional and Roth, are available to anyone under the age of 70 ½ and require some type of employment or marriage to a person who earns income from work-related wages. The 401(k) mandates that you abide by the specific rules and guidelines of company-derived investment options, while an IRA is way more accommodating and fluid. You tend to have a lot more control when investing via an IRA. How much can you invest each year? This is an important question, as the two basic investment accounts in question do vary wildly in this area. The traditional 401(k) caps employee contributions at $18,000 per year, though the employer can match some or all of that contribution to net a larger total amount invested. Traditional and Roth IRAs cap yearly contributions for most individuals at $5,500 (or $6,500 if over 50). The IRA is a terrific supplement to a 401(k) plan, and can round out an investment portfolio. The limits are higher with a 401(k) – but it isn’t necessarily the better option for everyone. Yes, you can put up to $18,000 into the account each year versus less than half of that for either a Roth or traditional IRA, but the added control over the invested assets with an IRA may deliver a greater return on investment with less initial cash outlay. Understanding the fundamental differences and commonalities between the IRA and 401(k) will make you a more rounded investor with a greater potential for creating a balanced portfolio. For more information about investment vehicles, including the popular gold IRA, that can help you secure your future – contact American Bullion today.